Images of brewing and taverns can be found in so many of the Wisconsin Historical Society's manuscript collections that pulling together a gallery became a major undertaking. Wisconsin's brewing history is documented in images from early statehood and the beginning of brewing to the modern era and the reinvention of the microbrew. Brewing has been a Wisconsin tradition since the Territorial era, and records of the state's earliest breweries date back to the 1830s. 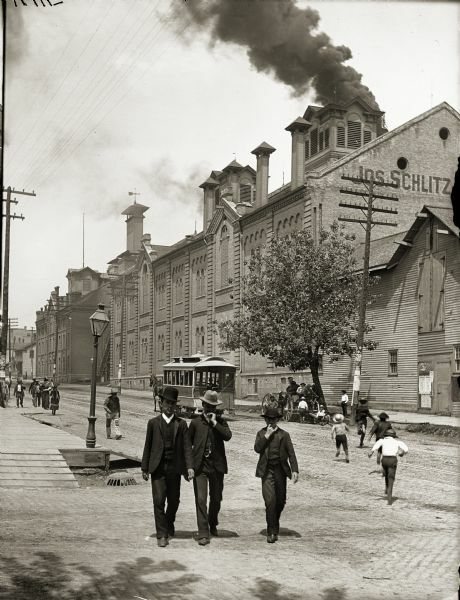 The growth of breweries in Wisconsin is often linked to the increased settlement of German immigrants in the state. These Germans brought with them the knowledge of German brewing techniques, an affinity for German-style lagers, and a fierce pride that instilled in them a need to maintain their cultural identity. Throughout the mid- and late-19th century, the number of breweries in Wisconsin grew steadily, with 160 breweries operating by the Civil War and more than 300 by the 1890s. The 20th century brought with it Prohibition and bootlegging. After the repeal of Prohibition, large-scale industrial production of beer changed the landscape of brewing in Wisconsin. The gallery images portray some of Milwaukee's great businesses, including production photos and advertising images of Pabst, Miller, Schlitz and Blatz. But one also senses the importance of beer to rural communities, many of which had their own local breweries and taverns. 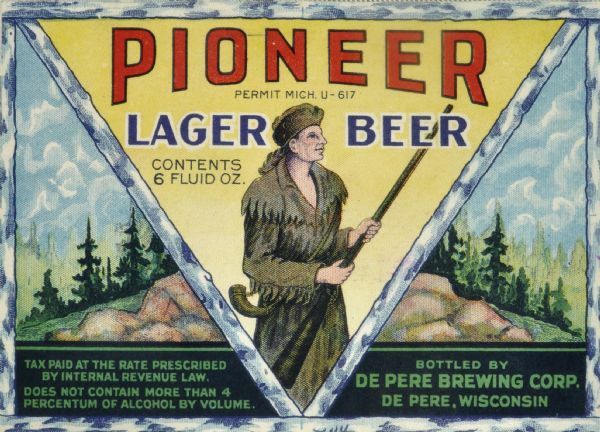 Besides images of breweries, brewers, taverns, bars and Prohibition-era production, the gallery contains dozens of advertisements and beer labels like the one shown above.